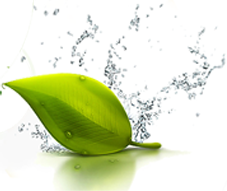 Neelam phyto extracts npe focuses on extracts and oils derived from plants and fruits. A 100% EOU Company involved in manufacturing and export of high quality STANDARDIZED EXTRACT AND essential oils for regulated and non regulated markets. With in-depth knowledge of traditional medicines, herbs & oils, their applications areas and with the technical competence that is required to manufacture these oils & herbs, NPE enjoy an imperious market presence around the globe as manufacturer and exporter of herbal products like standardized herbal extracts, phyto chemicals, natural herbal extracts, and essential oils. Worldwide demand for herbal products had been growing at a rate of 10% to 15% per annum. Corresponding to the need gaps & requirement of herbal industry we are driven by a vision to offer high quality products. Enhance our production facility in order to provide consistency in quality & delivery system. We have secured our position in the global marketplace owing to the high quality products. We have well-equipped production unit and adequately manned laboratories. Where our team of qualified and specialized experts carry out diverse range of activities pertinent to quality of products. We emphasize on stringent quality control right from the procurement of row material to finished products stage. This had enabled us to deliver consistent quality herbal products. Due to high sensitivity our products, from raw herbs to processed herbs and further to processed cosmetics every stage of development, adhere to standardization. We do painstaking research, and insist on the location of harvest, methods used to extracts the oils, data reports assuring the character, and even how the vats are cleaned. And you can be assured that you are getting the quality you desire.